Kyoko Wainai has a studio in Vanguard Court a few doors from mine. We moved at about the same time and soon discovered a shared love of textiles and Japanese minimalism. 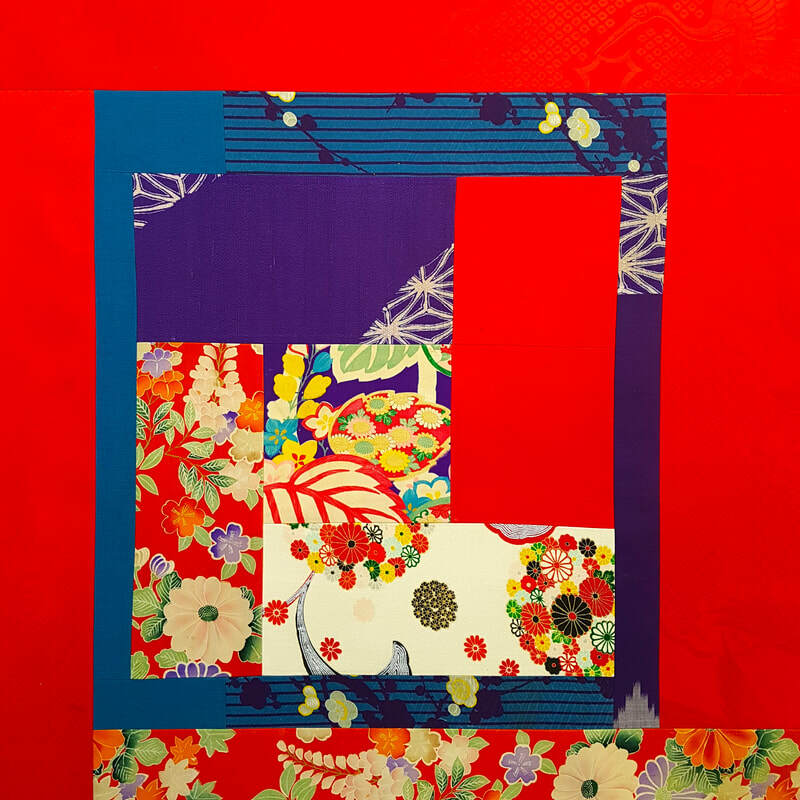 Kyoko, among many activities, creates beautiful accessories out of vintage kimonos. 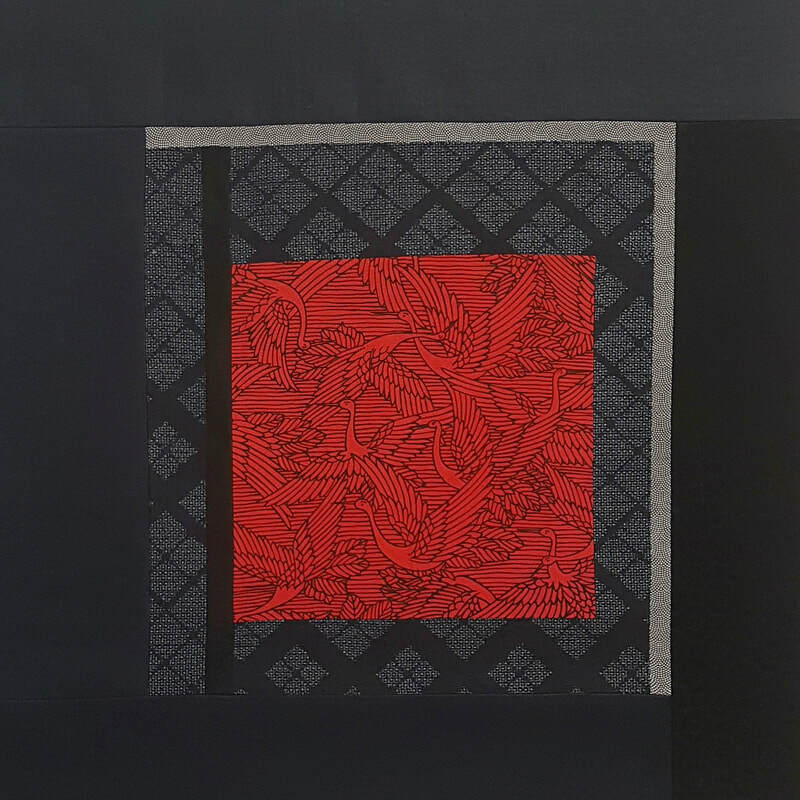 Her grandmother had a kimono shop in Japan during the first half of the last century and left behind second hand kimonos and fabric remnants, from the simple cottons of everyday kimonos to the richly detailed and embroidered silks for special ceremonies. Kyoko entrusted me with a box of these remnants and gave me free rein to experiment. There is something very humbling about working with worn and old pieces of cloth. Each speaks of the joys and sorrows of the person who wore it, a stain here, a tear there. 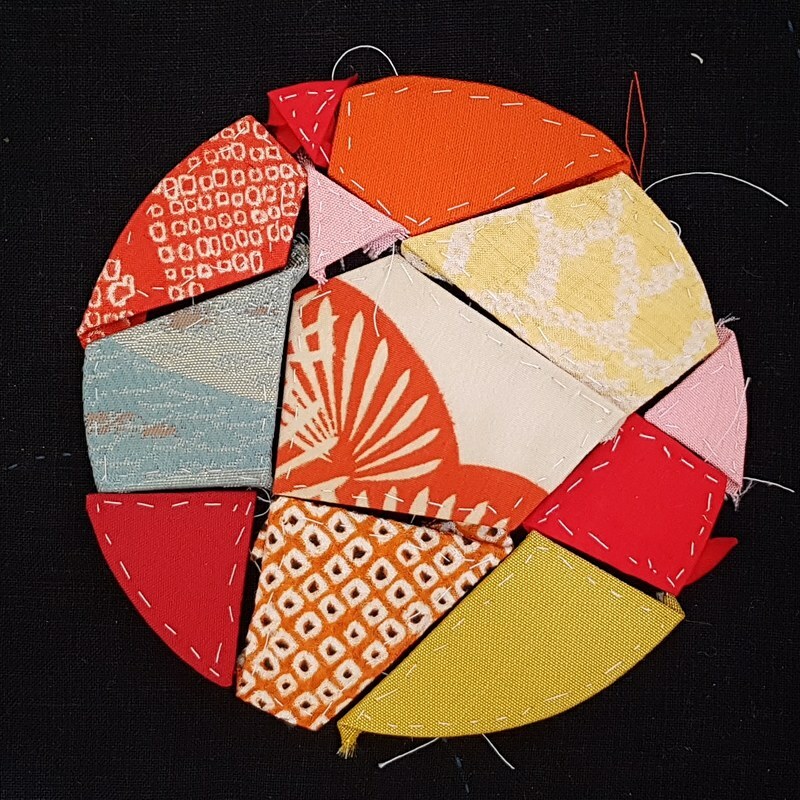 I have created a series of artworks, from assemblages of kimonos and contemporary linens and cottons to more complex compositions using the traditional technique of English paper piecing, all aimed at making the most of the smallest piece and highlighting its beauty and history. ​Three of these pieces were part of the joint exhibition “Pieces of Japan” at the White Conduit Project gallery in Islington in September 2017.